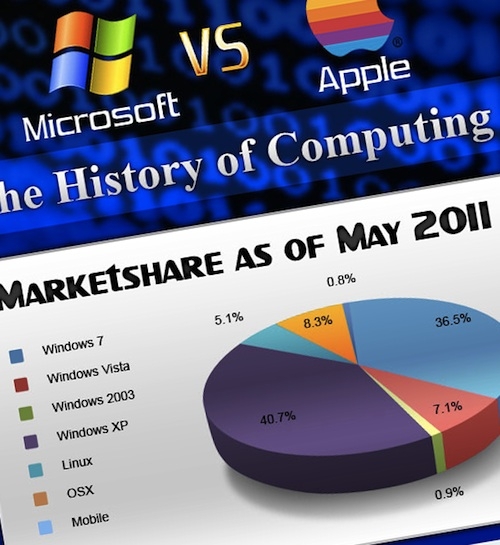 "Sean Lind at Manolution has posted an incredible infographic highlighting the battle between Microsoft and Apple throughout the history of computing." Click on this link and you can see the chart, which lists the major product launches by both companies, as well as changes within the companies and the effects on the stock price at the time. It's an interesting chart even without the comparison if you are at all interested in the history of either company.